Our 2mx 1mx 35mm Heavy Duty Horse Walker Mats are designed and manufactured to provide an anti slip, slightly cushioned, hard wearing surface for walking and exercising horses . 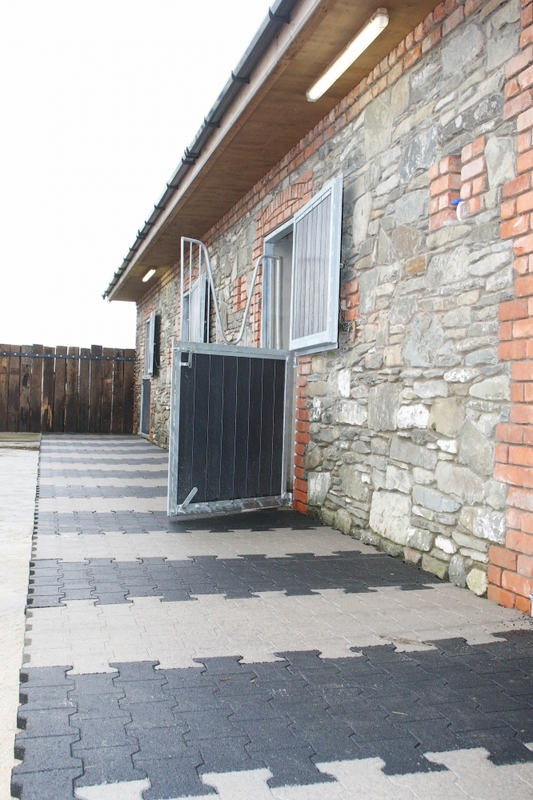 Each Horse Walker Mat is made with precision from high quality recycled rubber. We guarantee the quality,durability and effectiveness of our Horse walker mats. Our horse Walker Mats help maximise performance. 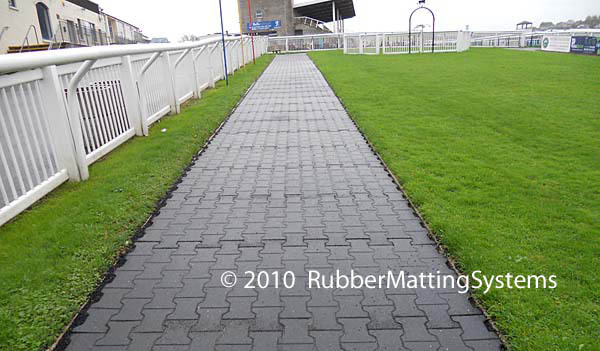 Excellent anti slip - Improves safety for the horse and jockey, A firm slip resistant pathway to and from the race track helps relax the horse and gives it confidence. 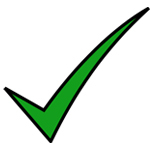 Protects the jockey / rider: Should the jockey or rider be thrown from the horse the Interlocking Horse Walker Mats will provide some protection against the impact. The horse walker mats reduce the potential for serious injury. Improves healing and reduces stress and tension on the horse: reduces potential for leg and joint, muscle and ligament injuries. The horse walker mat mimicks the feel of natural turf. Helps the animal relax / can aid healing.